I trapped last night in the hope of a Merveille de Jour, but no such luck :-( I did catch 4 moths a Black Rustic, 2x Rusty Dot Pearl and a new one for me Green-brindled Crescent. I also caught a fly of some sort, maybe someone is interested in the fly. Your fly is actually an ichneumon wasp. Glad that you tried last night Melanie - please DO carrying on trapping this week, as there`s certainly potential for good records. 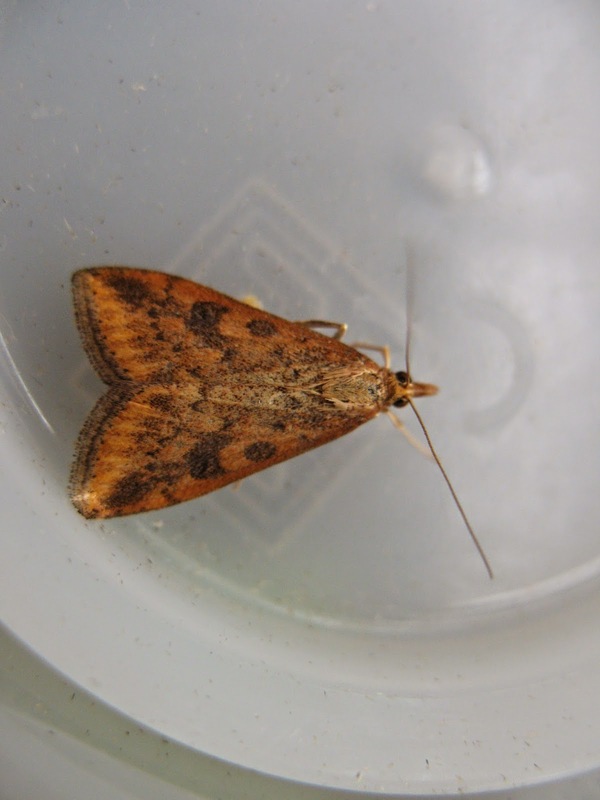 I trapped at home (and a nearby locality) last night and had some worthwhile records.